I would say that their coordination is good. They were reasonably priced, and the installation crew was very professional. They were on time for their appointment. They showed up, and were reliable, which is priceless. I'd tell anyone to use them. I really liked the ease of ordering their products. I like my new floor. It looks really good. Abbey Carpet & Floor is a full-service flooring company serving clients throughout the Peninsula. The company’s all-inclusive business approach includes two showrooms from which customers can have measurements performed, receive estimates, and purchase carpet, hardwood, laminate, and vinyl flooring for installation. 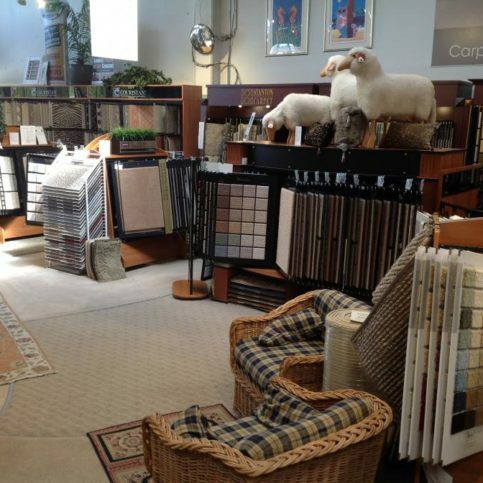 Abbey Carpet & Floor has flooring from all top manufacturers and high-quality wools from designer resources. Some of the manufacturers include Shaw, Mohawk, Tuftex, Camelot, Karastan, Woolshire, Hibernia, Premier Stainmaster, Mirage, Lauzon, Kahrs and many more. Abbey Carpet & Floor is individually owned and operated by Nancy Stanton. Joining the national buying group of Abbey Carpet & Floor, her stores gained the purchasing power of a very large company, which enables her to pass savings to her customers while maintaining the personal service approach and individuality of their family business. As an added benefit to its clients, Abbey Carpet & Floor offers a 60-day Satisfaction Guarantee and Lifetime Guarantee on Alexander Smith, American Showcase, and any label displaying Premier Stainmaster. To see samples of Abbey Carpet & Floor’s vast product lines, the company invites customers to visit its showrooms in San Mateo and Menlo Park or its website at www.abbeycarpets.com. Maintaining customer satisfaction is a crucial aspect of any business, but it’s even more important for flooring companies that have earned the prestigious Diamond Certified award. For Abbey Carpet Flooring Center, the key to achieving and maintaining high levels of customer satisfaction is simple: provide superior products and services that turn one-time shoppers into long-term supporters. “Eighty percent of our clientele base is comprised of repeat customers and referrals, which proves the high level of customer satisfaction for which we’re known,” says owner Nancy Stanton. 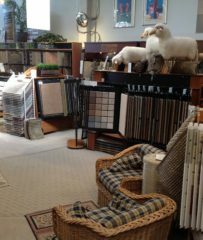 Abbey Carpet Flooring Center sells a wide range of flooring at its San Mateo and Menlo Park facilities, including carpet, hardwood, laminate and vinyl products made by top manufacturers such as Shaw, Mohawk, Camelot, Karastan and Premier Stainmaster. The company provides an all-inclusive buying experience at both its showrooms–customers can have measures performed, receive estimates and purchase flooring to be installed by an in-house staff of certified installers. Carpets made with artificial fibers are chemically engineered to provide the maximum level of durability, comfort, stain resistance and color vibrancy. Nylon is the predominate synthetic material on the market today, but other materials such as polypropylene, acrylic and polyester are becoming increasingly popular. In addition, some carpets incorporate both synthetic and natural fibers to capture the best aspects of each. Because synthetic carpets represent nearly 90 percent of the market, they’re more affordable and hence the most common type of household carpet. Natural carpet fibers are derived from animals, plants or minerals. The most common natural fibers are wool, silk and bamboo, but other options like hemp, jute, sisal and sea grass are gaining popularity. Synthetic carpets may be more durable, but natural products tend to keep their beauty longer, although this is dependent on the frequency and severity of the foot traffic in relation to the specific caliber of fiber. For instance, silk, despite what it provides in the way of aesthetics, lacks resilience and wouldn’t be an appropriate option for a high-traffic area. A more durable option would be wool or sea grass. Also, since natural carpets are made from biodegradable, nontoxic resources, they’re inherently more environmentally-friendly than synthetic carpets. Unfortunately, because of the expense involved in manufacturing natural fiber products, they’re typically used in luxury or area rugs more than house-wide carpeting. Regardless of what type of carpet you choose, the best way to remove stains is to be prompt and thorough—the longer a stain remains in the carpet, the harder it is to get out. If you prefer to use a chemical cleaning agent to remove a stain, be sure to go back over the spot with a warm, damp terrycloth towel—it’ll diminish the residue that gets left behind. After that, cover the spot with the damp towel and weigh it down with something heavy so it can absorb the residue overnight. Never use a hair dryer or other electric appliance to dry the spot, as this will only serve to permanently seal in the stain. Q: Can you help me decide what type of flooring is best for my situation? A: Absolutely. We’ll assess your needs, discuss the pros and cons of different products, and provide you with all the information you need to make an educated decision. Q: Once I decide on a flooring product, how long will it take to have it installed? A: Usually, if you pick a product that we have in stock, we can install it the next day. If we have to special order a product, it typically takes five to seven days, although the wait time often depends on the location of the manufacturer. Q: Do you employ your own installers or do you use subcontractors? A: All our installers are directly employed by us. Most have been with us for six years or more, and they’re all certified and highly trained to provide first-rate installations. A: Certainly. We’re not a big box store, which means we can provide much more than the status quo in terms of service. We’ll even give you flooring samples to take home and try before purchasing. Q: Do your installers remove old carpet or move furniture? A: Taking away old carpet is a regular part of our service, but as for moving furniture, it depends on how much is in the room. We’ll move furniture as a courtesy to our customers, but we’re not professionally qualified to do it on a large scale. Nancy Stanton is president of Abbey Carpet & Floor, a Diamond Certified company since 2005. She can be reached at (650) 720-5959 or by email. Outside of work, Nancy enjoys spending time with friends and just recouping from the work week. “I work six and sometimes seven days a week, so my time off is usually devoted to relaxing and seeing my friends,” she says. “However, when I get the chance, I love to travel.” Additionally, Nancy likes to cultivate her artistic side by painting, as well as keeping up with her son, Jim, and her stepsons, Robert and Sanders. 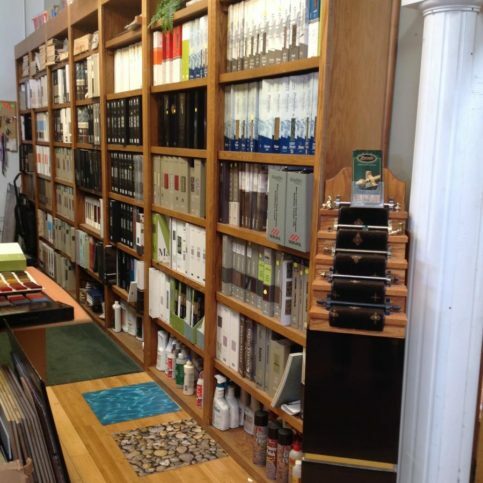 SAN MATEO — To make your visit to a flooring store more productive, it’s best to be fully prepared. In particular, you’ll want to note any of your home’s attributes that might factor into your product choice. For instance, one important aesthetic consideration is the color of your home’s wall paint and décor. If possible, bring in a swatch of your wall paint. You can even bring one of your armchair covers or throw pillows to use as a reference point. A further aesthetic consideration is the kind of light your home receives, both natural and artificially produced. In addition to aesthetics, a pertinent factor for choosing a flooring product is the amount of traffic your home gets. If your home has a lot of people (especially small children and pets), you’re going to need a more durable product that can stand up to the daily wear and tear. Conversely, if your home has minimal foot traffic, you can consider more exotic or ornamental types of flooring. All in all, if you have a clear idea of your home environment, a flooring sales representative will be better able to guide you toward an appropriate product. SAN MATEO — Host, Sarah Rutan: Prior to visiting a flooring store or showroom, it’s a good idea to take note of your home’s aesthetic characteristics. Today, we’re in San Mateo with Diamond Certified Expert Contributor Nancy Stanton of Abbey Carpet & Floor, to learn more. Diamond Certified Expert Contributor, Nancy Stanton: The major thing that you need to do before coming into the store is to make sure you have your list of things and priorities ready. What are the colors of your walls? What is the – kind of lighting do you have? Do you have a northeast exposure light? That’s a cooler, grayer light. Do you have a lot of southwest light? That’s usually a warmer light and it’s going to be brighter. What kind of family environment do you have? Is this a room or a whole house that’s going to get massive amount of traffic, or are you a single person who throws your head on the pillow, you know, once a week? We need to know these factors. And if you can at all bring in an armchair cover, a pillow, a swatch of your paint, something with your paint on it that will help us help you select the proper product. Abbey Carpet & Floor : Average 8.8 out of 10 based on 298 unique customer surveys of customer satisfaction. I would recommend them. I was very pleased with their service. I want to say their attention to detail and their follow-up on everything, because everything went smoothly. There were no problems whatsoever. I just feel that we've had great direction from them, and they've just given great customer service. You can shop around, but then you need to go to Abbey Carpet and talk to Bob or John in Menlo Park. They will steer you in the right direction. He helped me distinguish between different types of carpeting, how to clean those types of carpets, and the colorfastness of the carpet. He was just very good. They're awesome. They were able to do the job for me. They listened to how quickly I needed it done, drove out to Daly city to see me, helped me out by asking some very pointed questions and brought up my options. They were able to pull extra stuff from the back to help me and got the job done quickly. I highly recommend them. They did a great job. The speed and the expertise, they really knew their stuff, and I needed that. They listened to the fact that I needed it done quickly and found stuff they had in the back that they could give me immediately. He brought all of these things out, so I could see them with my cabinets. I just thought they were awesome. I'm very impressed. I called another Abbey Carpet, and they guy in San Francisco said they wouldn't be able to get anything as fast, but that they did have an Abbry Carpet in San Mateo I should try. I thought that was really nice of him. I had a good experience, and I would use them again. I was just happy with the service that I received and that I got really beautiful flooring that I love. They were very knowledgeable, and they knew exactly what I was looking for. We just needed something temporary, because we needed to fix something to sell our house. They were very quick, and they knew their products. I thought they were just really nice, and they were very fast. The service was fast, the installation was fast, and it was a beautiful installation. I think they're knowledgeable, reasonable, and helpful. I'd tell them that it's a good place to go. They have a large selection and quality products. They did everything they said they would do, and they did a good job. I recommend them. They were very responsive to our needs. So I used Empire before and had to have Abbey Carpet rip out the horrible job that they did. They installed the new floors, and they're amazing to work with. They kept me notified of anything that was going on. They found dry rot that Empire had installed right over. Abbey called me immediately, so I had a chance to come out there and decide what to do. They're easy to work with, and I've already sent other people to them. I would pretty much just say that it's like trusting family. You go in there, and everyone is really awesome and super detailed. They take care of you and do what you need them to do. They're awesome. How nice they are, how friendly, and super honest, I received excellent service. They're personable, and they care about me and my situation as an individual. It's probably one of the best services we've ever had for what it does. We've used them for a long time. We really like their consistency. The guy who we dealt with was very patient and knowledgeable. The workers themselves were awesome, on time, thoughtful, and they cleaned up after themselves. It's a great operation. They're fantastic. I just felt like I got great customer service. The end product was better than I could've ever hoped. They provide good products, good service, and I'm happy with their selection. I really liked the salesperson. He was very helpful. They would go there and get good service. The quality is good, and the employees are all good. The installers were very good as well.